ANDERSON, SC (courtesy andersonuniversity.edu) — The nation’s largest and oldest international film festival gave top marks to a team of five student filmmakers from Anderson University. Garrett Black, Ashlyn Boudfolf, Parker Roberts, Ashley Smith and Mary Hunter Smittkamp won a Bronze Remi Award in the Student Film and Video Production category at the WorldFest Houston International Film Festival. The students’ award came at the same festival that has awarded prizes to filmmakers like Steven Spielberg, George Lucas, Ang Lee and the Coen Brothers, among others. Their short film, produced in Professor Gorman Woodfin’s corporate video production course, is a piece about Golden Harvest Food Bank (https://goldenharvest.org/), a poverty-alleviation program that serves disadvantaged people in north Georgia and Upstate South Carolina. Woodfin said the film placed in the top 15 among 4,500 entries across 74 countries. 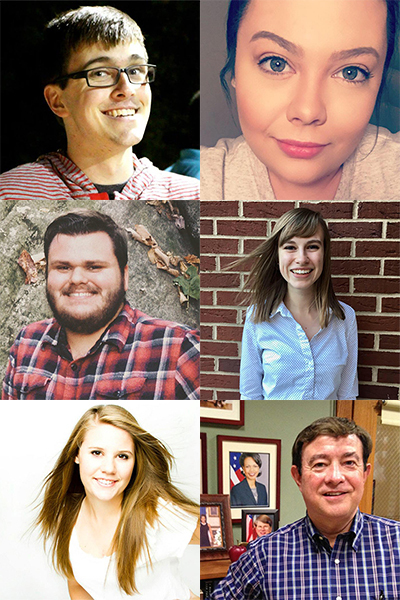 Woodfin hopes the AU filmmakers–Garrett Black, Ashlyn Boudolf, Parker Roberts, Ashley Smith, and Mary Hunter Smittkamp–become as well-known as Spielberg and Lucas in future years. Black, Boudfolf, Roberts, Smith and Smittkamp are all AU students in Woodfin’s video production program who are making a name for themselves in the very place that helped launch A-list Hollywood directors. Woodfin, a Hollywood-veteran-turned-professor who has won awards of his own at major film festivals, said the students’ Bronze Remi Award in the Student Film and Video Production category, is a big deal. Woodfin said the student success can be attributed to the program at the AU College of Arts and Sciences. He said the support of Dr. Wayne Cox, dean of the college, and the Communications Department Chair Robert Reeves was instrumental in helping AU students compete at film festivals like WorldFest Houston.